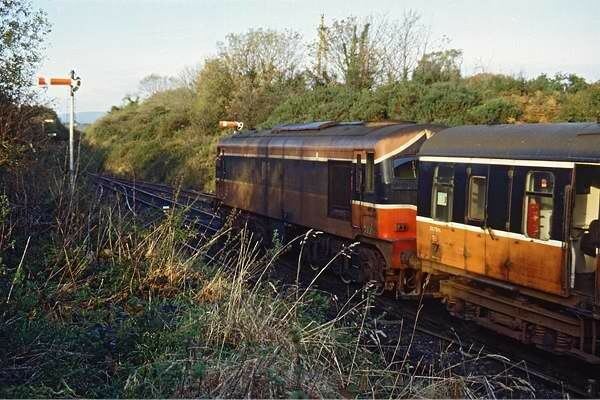 © Geoff’s Rail Diaries 2011 A year after the trip that didn't go to Sligo or Cork, another Irish tour was advertised - "The Bell Viewer" seemed to be named after the Bell container depots that we would pass on the trip around the south- eastern part of Ireland. Once again, my son needed no persuasion - "can we go on that one, dad?". After the usual trip across from Holyhead on the ferry, we joined the tour at Dun Laoghaire - no DART today! 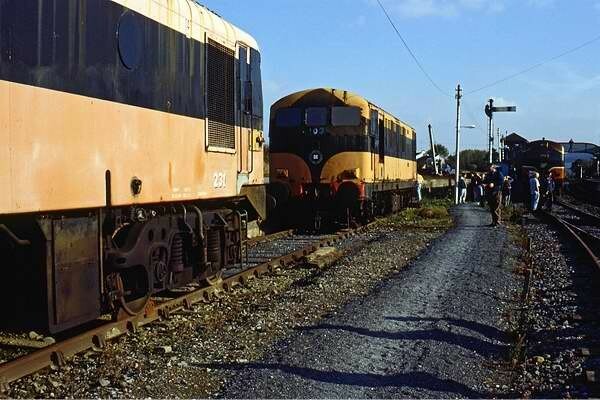 We would run down the mostly coastal route to Rosslare, then head west via Waterford to Carrick on Suir, home to the Irish Traction Group's collection of rusty old diesels... (I'm sure they're not rusty now) Like the Sligo Avoider, this trip is described in full on the Trips 'n Tours pages, so I'll cheat again and quote from that article, starting from the point where we passed through Wexford... "Wexford is reputed to be Eire's equivalent of the Weymouth Quay branch - except that it sees regular use, being in effect a main line through the streets! Our route onwards to Rosslare Harbour runs along this stretch, which is definitely an interesting stretch of railway. For several hundred yards, the street is on one side and the sea literally (litorally?) on the other. 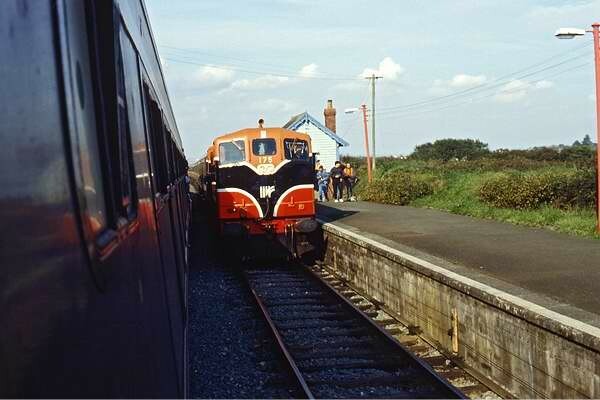 "We had never really regained the 15 minutes lost at Wicklow, however a quick run-round at the old Harbour Pier station at Rosslare meant we arrived on time at Rosslare Strand, junction for the line to Waterford, after retracing our steps for a short distance. 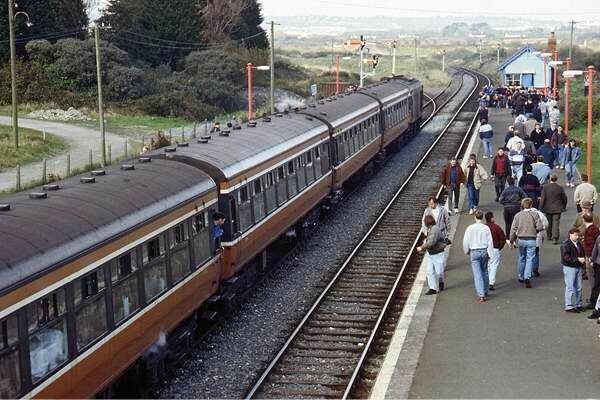 We crossed a Rosslare bound train here, before leaving a little late again on the line westwards. 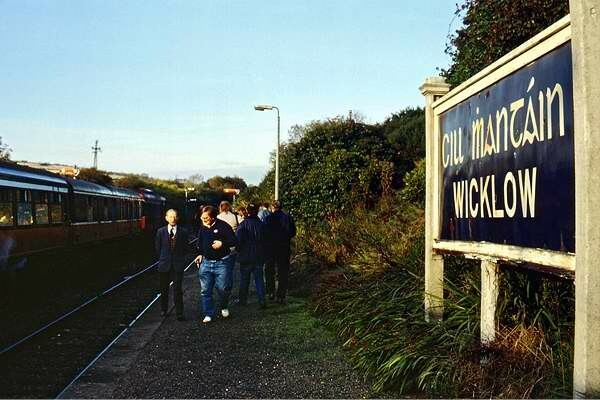 "Next stop, and in some respects a highlight of the trip, was the station at Wellington Bridge. There is a substantial installation here for loading local sugar beet into trains for delivery to the factory at Mallow, and we were able to gain an insight into the methods employed. 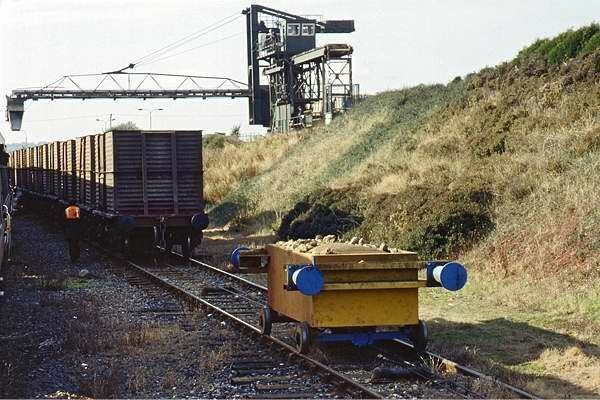 A "beetle" - a small wagon - is connected to a cable running between the rails, and is used for positioning wagons under the loading gantry. 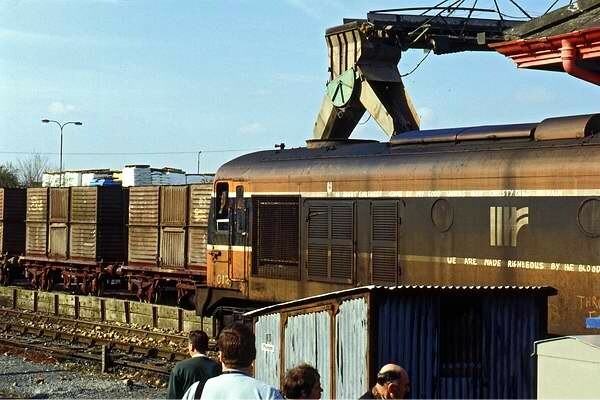 Loading was in progress, it being the "campaign" season, and a large number of beet wagons, which look as though made from corrugated iron, were present. Also present was no. 051, on beet duties, but relieved of them for a while - our loco for the next stage of the journey. (An earlier tour this way carried "The Beet Route" headboard.) (Think about it!) "Readers who have persevered so far may be wondering why this tour bore its "Bell Viewer" headboard. Shortly after crossing the Barrow Bridge (longest in Ireland at 2131ft), running now along the north bank of the estuary of the River Suir, (more superb scenery) we were to find out. The first hint was a container ship steaming down river, laden with (you've guessed?) Bell Line containers. Then, within a mile or so, came the huge new Bell freightliner terminal, built appropriately at a place called Belview! This massive investment seems to bode well for rail freight in Ireland, replacing an earlier terminal (still extant) another mile or so upriver, which we passed shortly before stopping at Waterford station, on the opposite bank of the Suir to the town with its attractive waterfront. 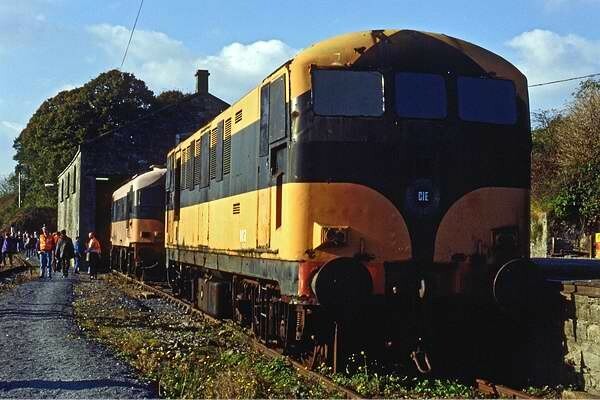 "Another pause here while 051, our host for just 17 miles, was removed and scuttled off to find some more beet wagons. Now it was to be no. 049's turn! 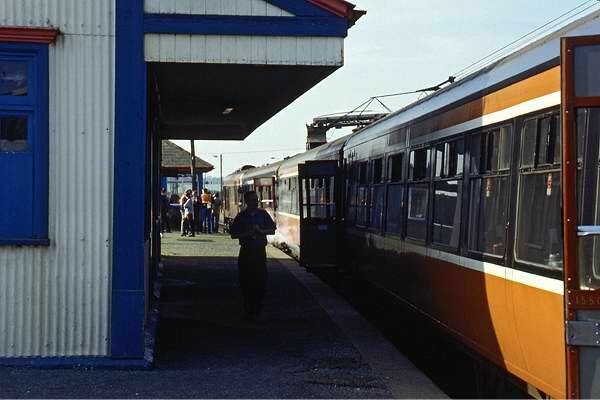 "The scheduled 25 minute run from Wellington bridge had taken 40. We were 50 minutes late leaving, and lost another 5 over the 14 miles to Carrick on Suir (37 minutes!). 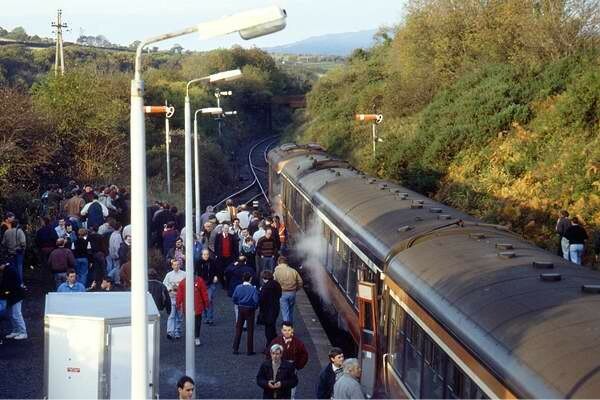 Waterford's Dublin service is via the Kilkenny line to the north. 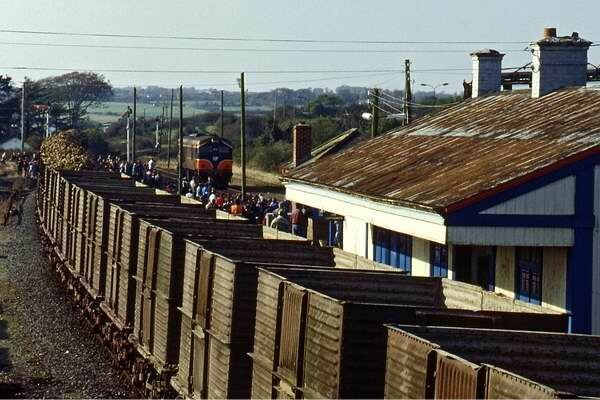 The passenger service serving Carrick consists of just two trains a day in each direction, though I suspect a fair bit of freight - a train of Bell containers was waiting to cross us in the loop on arrival. I imagine that the track condition could be a problem. 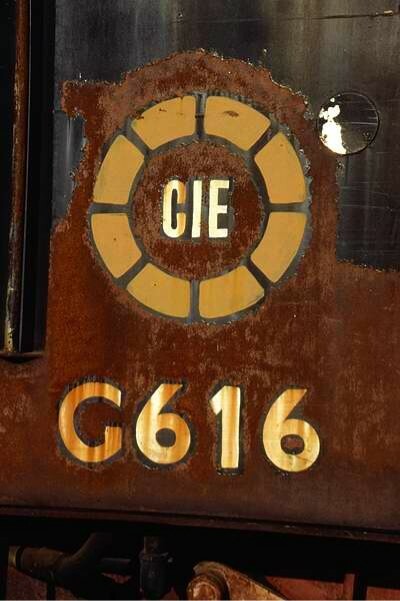 "The ITG's collection was on view for us - two Deutz 4-wheeled diesels of CIE G-class, two of the Metro-Vick C-class sisters of our tour locomotives, and the last survivor of the 12-strong B- class. 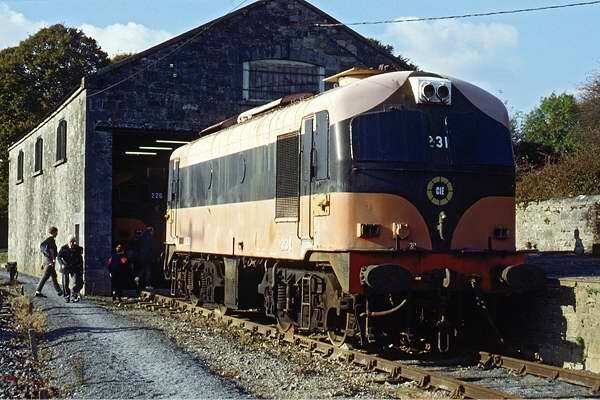 The Cs were originally built with engines of just 550bhp (you would need 6 of them to make a Deltic! ), but, like the As, were re-engined, with GMs of 1100bhp. The Sulzer engined Bs, built by Birmingham RC&W, thus became the only non-GM engined main line diesels, a cause of their demise. 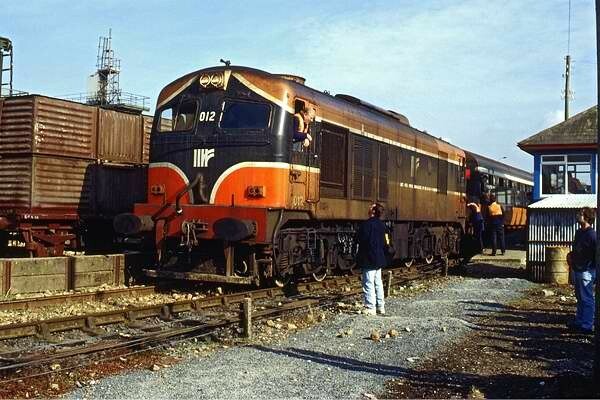 The last in service was withdrawn in early 1978; the class then "served" in the Inchicore barrier until scrapping commenced in the late 1980s. 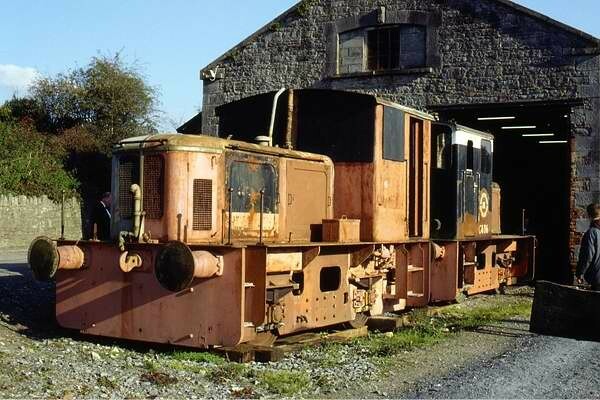 They were most odd looking locos. Their three small, high windows facing forward gave them a resemblance to (oddly) the Metro-Vick Co-Bos of BR." 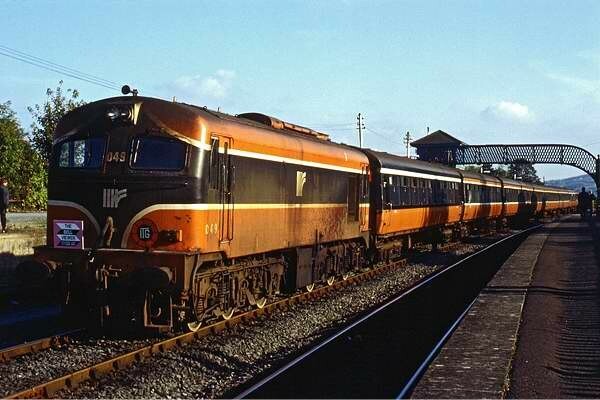 We returned to Dublin via Limerick and the Nenagh line, reversing at Ballybrophy to gain the main line back to Dublin and Dun Laoghaire - and back onto the ferry for the long trip home, after an excellent day's railtouring.